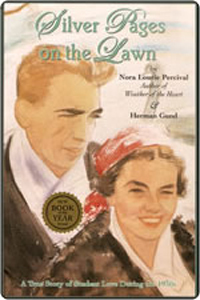 Silver Pages on the Lawn: A Student Love Story of the Depression Years of the 1930s | Book Hub, Inc. This entry was posted in Uncategorized and tagged aspiring writers, dreamed, eloquent letters, Europe, Great Depression, heart, history, literary, lovers, make love, memoir, money, Nora Percival, parental disapproval, passionate, poetic, poignant, privacy, renaissance, romance, Russia, star-crossed, student, student lovers, war. Bookmark the permalink.